Galloway Company manufactures innovative dairy bases for the beverage industry and is a leader in innovative liquid processing of concentrated dairy blends and sweetened condensed milk. They are the largest sweetened condensed milk producer in the nation. 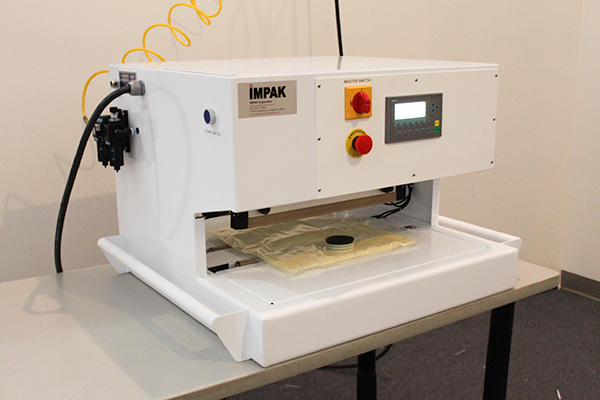 Galloway Company partnered with IMPAK Corporation to develop a solution to their packaging challenge: they were aseptically filling bags but wanted a smaller bag size. The problem was, they already had high quality bags produced by Scholle IPN that they didn’t want to see go to waste. They also had an established production line that they didn’t want to disrupt or modify. 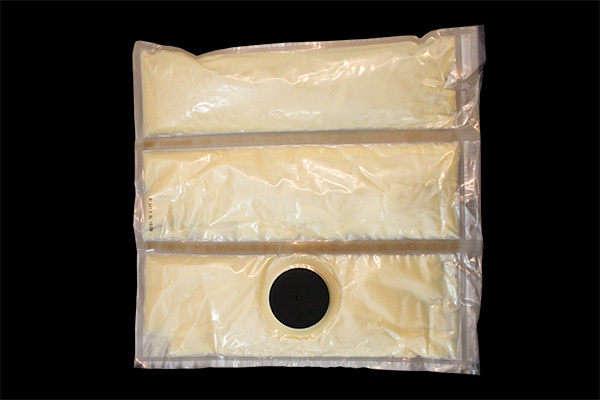 Scholle IPN referred Galloway Company to IMPAK to help solve the challenge of sealing through filled bags. IMPAK set out to provide a cost-effective solution that would split the bag into 3 separate bags, without compromising the sterility of the aseptically filled contents. IMPAK’s challenge was to develop a solution that would push the condensed milk out of the way and allow the two sides of the bag to bond completely. 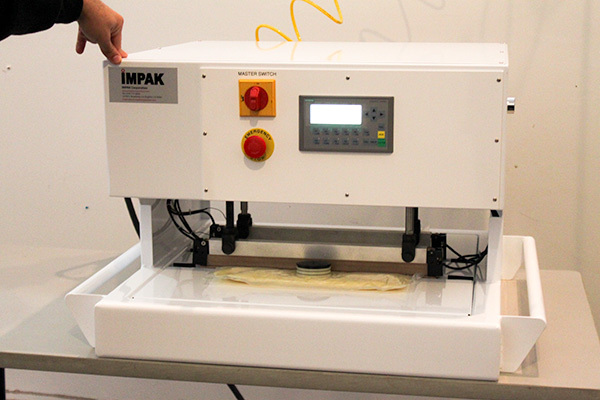 To achieve this, IMPAK upgraded the sealer’s standard TIC to a state of the art Siemens controller. The upgraded Siemens controller allowed for individual control of each heating element, as well as pressure and temperature readings down to the millisecond. This level of control allowed the technicians at IMPAK to find the precise balance of temperature, pressure and sealing time that would create a hermetic seal, right through the condensed milk. Although the challenge of sealing through viscous contents had been solved, there was still the challenge of cutting the bags apart. 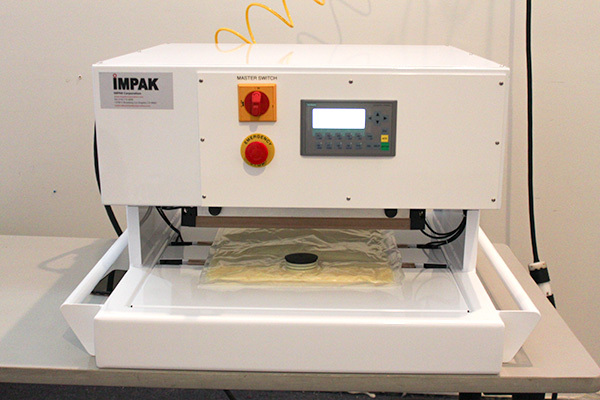 One option was to incorporate a cutting wire into the sealer, but IMPAK worked to provide a more cost-effective method of splitting the bags. The simple solution was to cut the bags down the length of the seals. The original seal width was narrow and left little room for error, so new wider seal bars were installed. 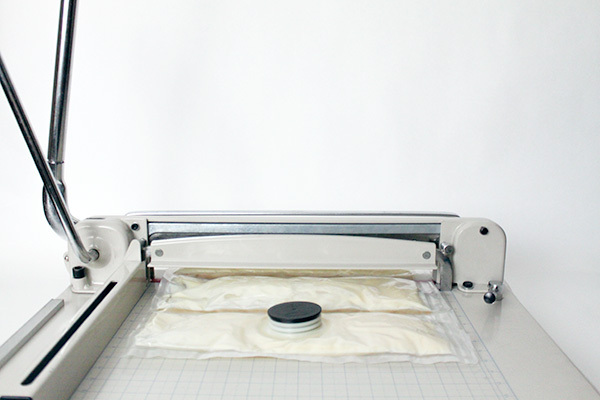 The upgraded sealer along with a new guillotine bag cutter completed the process and Galloway now had a way to separate their pre-filled bags. IMPAK manufacturers and modifies sealers to meet the unique needs of our customers in industries ranging from food and beverage to pharmaceutical and biomedical. Contact Us with your packaging challenge. See our in stock sealing equipment here.